In keeping with Ontario’s Places to Grow legislation, condominium communities are springing up across the Greater Toronto Area next to existing public transportation and malls – and in some cases, both. 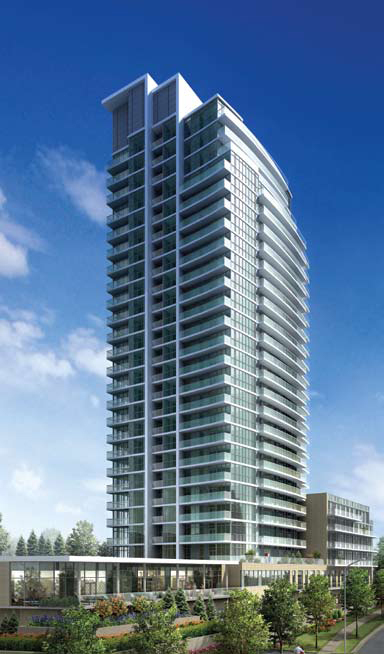 In Etobicoke, Great Gulf and Menkes offer One Sherway across from the fabulous Sherway Gardens. Streetcar Developments’ Toronto condominiums, The Carlaw at Carlaw and Dundas Streets and The Carnaby at Gladstone and Queen Streets, are right on transit lines amid a wealth of clubs, restaurants, shopping, services and other amenities. The epitome of a convenient location is Emerald City, EL-AD Canada’s phenomenally successful condominium community at Don Mills and Sheppard Avenue in North York. In addition to being situated across from the stylish Fairview Mall, Emerald City will connect to the shopping centre AND the Sheppard subway via an underground pathway! Talk about a luxury – being able to shop or catch a ride downtown without braving the elements. And for those using vehicles, the Don Valley Parkway and Highways 401 and 404 are incredibly accessible from this spot. Within a few minutes’ drive, residents can be at a number of schools, libraries, community centres and more. That is, of course, if suite owners at Emerald City ever want to leave their oasis-in-the-city. Enhancing the concept of living and playing at home, EL-AD has designed this community with its own green space, tree-lined walkways, verdant gardens, a new park, community centre and pedestrian plaza. The condominium neighbourhood is also home to superb amenities for all ages, such as party and fitness rooms, a yoga studio, indoor pool, whirlpool, outdoor terrace with barbecue, movie screening room and guest suite. In other words, this is the ultimate in the kind of intensification that lessens the need for vehicle use, and therefore lowers the carbon footprint of this condominium neighbourhood. Currently the third residence in EL-AD’s community, Dream Tower, is proving to be a tremendous success, just as its two sold-out sister towers that came before. To find out more, call 416-492-0001 or visit www.dreamtower.ca.